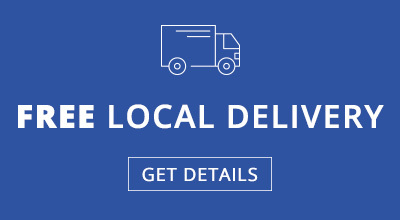 Albert’s Home Furnishings in Wayne, MI is greater Detroit’s premier source of top brand furniture for every room and mattresses for discerning buyers who need a break for their finances. 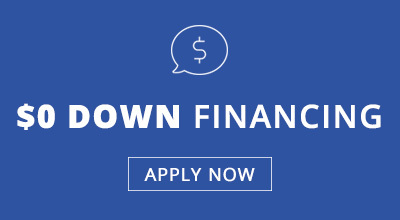 That’s why our home furniture store has always been “Your Credit Connection” with generous $0 down financing in-house as well as easy leasing. 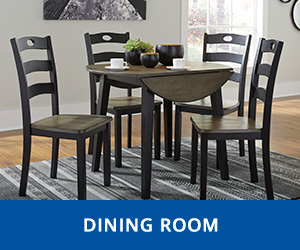 Albert’s furniture carries only nationally recognized and respected brands including the world leader, Ashley furniture, as well as Coaster, Global Furniture USA, Acme, Standard, and others. 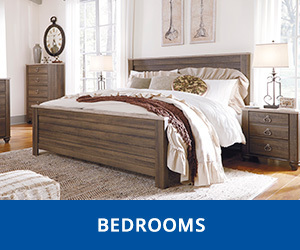 Whether your design dream is Victorian splendor or fashion-forward looks right out of Europe, our home furniture store has the inspiring yet relaxing, long-lasting bedroom furniture you need. Our looks vary from Millennium’s impressive reproductions of antique details to the more “today” appeal of Benchcraft. 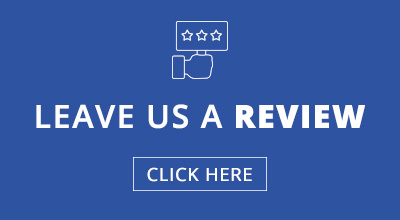 Our unparalleled selection includes twin to California king beds, headboard styles ranging from panel to storage to sleigh beds, and magnificent accessories. These last items include nightstands, some with USB charging stations, mirrored dressers, and delightful bedroom vanities to “put your face on” every morning with no more hassle. Living Room Furniture for Today! Maybe your living room needs an awesome sectional sofa to stretch out on. 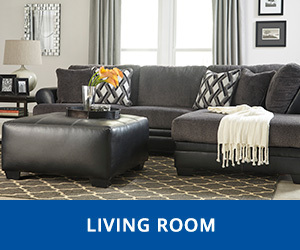 Or you want the subtlety of top-grain leather on a winning sofa and loveseat combo. Our home furniture store has got ALL of these and more! Miss your granddad’s relaxing living room recliner? It’s here and better with advanced ergonomic design and ease of operation to keep your back in great shape. The trusty living room coffee table’s here in many versions too, from rich veneers on hardwood to tempered glass and chrome to striking pedestal bases. Our home furniture store has kept up with the latest developments in sleep technology. That’s why we carry a vast variety of excellent mattresses for every size, from twin to king beds. 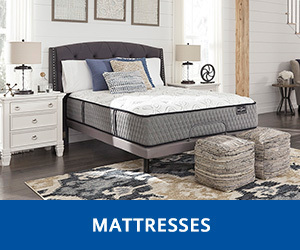 Choose from a restful assortment of materials, from traditional innerspring to state-of-the-art gel-infused memory foam and pocketed coils, to cradle your body perfectly, guaranteeing you a refreshing night. Mattress-topper softness comes in several options too, such as pillowtop, plush, and Euro, while the mattress’s firm foam core does its work.